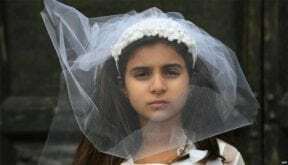 Radiofarda – An advisor to Iran’s president criticizing early marriage laws says if thirteen-year-olds can get married then they can also vote or get a driver’s license. Radiofarda – Iran’s intelligence ministry said Monday it had arrested 11 “economic disruptors” who misappropriated some $400 million earmarked for essential goods and smuggled the money out of the country. Radiofarda – Videos circulated on social media show protesters gathering in Tehran’s Enghelab (Revolution) square on Monday. 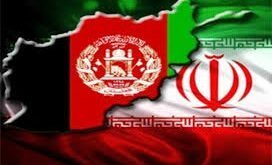 Radiofarda – Taliban representatives from Afghanistan arrived in Tehran on Sunday and have started peace negotiations with Iran, Iranian foreign ministry spokesman said. Radiofarda – The spokesman of Iran’s foreign ministry has denied any knowledge of conditions set by Europe for launching a special mechanism to allow Iran to trade with European countries, despite U.S. sanctions. Radiofarda – Iran’s Intelligence Ministry has objected to the airing of a movie on the country’s state-run TV, which alleged that foreign agents had infiltrated the ministry during mass unrest following the 2009 disputed presidential elections. Al-Arabia – Hundreds of students demonstrated for the second consecutive day at Tehran’s private Azad University of Science and Research on Sunday. Al-Arabia – Ayatollah Sadeq Amoli Larijani – the chief of Iran’s hardline judiciary who has been blacklisted by Washington – was named on Sunday as the new head of the powerful Expediency Council, state television reported. Al-Arabia – Iran’s Supreme Leader Ali Khamenei, recently appointed Sadeq Amoli Larijani, the head of the country’s judicial system and whose name is listed in the US sanctions list because of human rights violations, for the presidency of the Expediency Council, replacing Mahmoud Hashemi Shahroudi, who died on Monday.